Get out of town with these interesting Miami side-trips: Homestead Historic Town Hall Museum (in Homestead), Fort Lauderdale Beach (in Fort Lauderdale) and Everglades National Park (Shark Valley & Gumbo Limbo Trail). 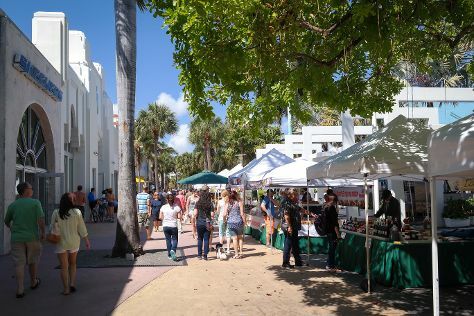 And it doesn't end there: take a stroll through Lincoln Road, buy something for everyone on your list at Dolphin Mall, admire the landmark architecture of Art Deco Historic District, and stroll through South Beach. To see photos, more things to do, where to stay, and tourist information, read our Miami day trip planning app . Expect a daytime high around 85°F in April, and nighttime lows around 71°F. Finish your sightseeing early on the 29th (Mon) so you can travel back home.